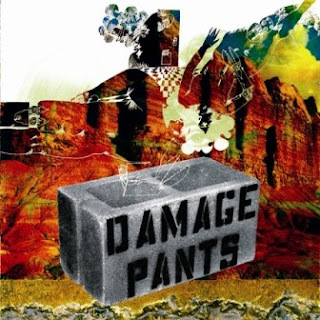 Bombay Cove Records: new release: DAMAGE PANTS LP+download!!!! new release: DAMAGE PANTS LP+download!!!! 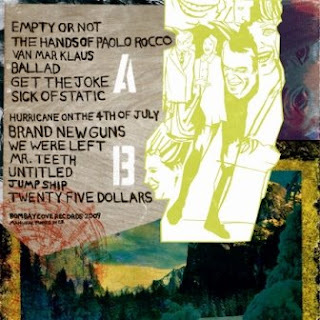 BMBC 18 -- Damage Pants "s/t" LP+download - Bombay Cove's first vinyl release! 13 greasy, bombastic tracks by the sweatiest band in Austin Texas. Garage Post-Thrash. Songs about: ATM machines, halloween costumes, slow dancin', crossword puzzles, windstorms, expensive concert tickets, not knowing how to shoot, and a character from the film "Raw Deal", amongst other things. Comparisons have been to Shellac, Karp, Drive Like Jehu, Jesus Lizard, Sleep... Some of the slickest artwork you will ever see! You want this, and we want you to have it. 12" 140g vinyl LP that includes a card to download all the tracks!!! OUT NOW!!!!!!!!!!!!!!!! !